The ACLU Advocacy Institute will bring together a diverse group of students to participate in a firsthand learning experience for the next generation of social justice advocates. Students will learn directly from lawyers, lobbyists and community activists working to defend civil rights and liberties critical to a free and open society. Students from across the country will participate in a week-long, unique learning experience for the next generation of social justice advocates, July 20-26. The Summer Advocacy Institute will provide students with substantive experiential learning opportunities that help them hone in their skills as issue-focused campaigners and take it to the next level. 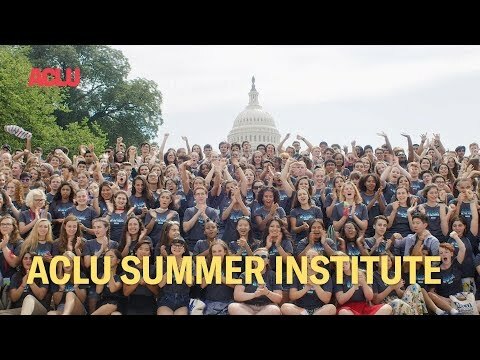 Through an intensive program in Washington, D.C., students will be given a rare experience to hear from and speak directly with ACLU lawyers, lobbyists, community activists, and other experts working to defend the civil rights and civil liberties critical to a free and open society. In classroom sessions, lectures, and policy debates, students will explore the complex nature of issue advocacy, legal strategy, and real world political decision making in Washington, D.C.
Electives covering the ACLU’s wide array of issue areas, taught by communications experts, lawyers, policy advocates, and other professional organizing staff from the ACLU and partner organizations. Daily seminars in small groups to explore social justice and civil liberties issues. Networking and Life-long connections with other young activists from across the country. Boosting political knowledge and campaign abilities, learning more about mobilizing issue-based advocacy campaigns, growing a team, identifying a strategy for engaging with policy-makers, and maximizing impact for the issues that drive you. Visiting our nation’s capital, key historic sites, museums, and college campuses in the Washington, D.C. area. The program will culminate in meetings with elected officials and/or congressional staff on Capitol Hill, and an issue rally to bring attention to a cause selected by the 2019 cohort! 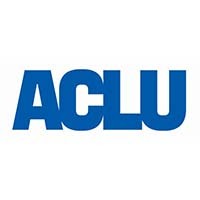 The ACLU Summer Advocacy Program will run from Saturday, July 20 through Friday, July 26, 2019. A tuition fee of $2,500 per student covers all experiential learning activities, off-campus social events, hotel accommodations, and all student meals. The ACLU has generous full and partial scholarships for families that qualify for financial aid. Want More Information about ACLU Advocacy Institute? Your request will be sent directly to Close Up Foundation. By submitting this form I confirm that I am at least 13 years of age and give my consent to be contacted by Close Up Foundation by email as well as by phone and/or mail (if provided).